Addicted to your daily cup (or two) of coffee? You’re not alone. 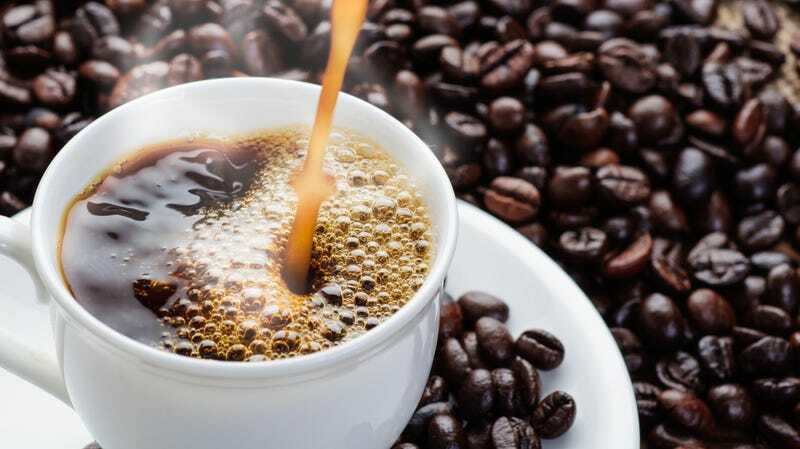 Forbes reports that so many of us start our day with a cup of joe, the annual 120,000 tons of coffee produced each year is enough to give a caffeinated beverage to every person on the planet. Now, Forbes reports, all those rivers of joe are actually contaminating groundwater. A 2016 study of pollutants in Great Britain found that the concentration of caffeine was unsurprisingly “highest under major cities, especially London.” The caffeine “most likely enters the underground groundwater reservoirs from leaking sewer sources.” First off: ew. Secondly: How is this happening? Is the caffeine entering our sewer system through urine? Enjoy that delicious thought next time you turn on the faucet. Fortunately, it’s not like we can take a gulp of groundwater for our morning fix. The concentration of caffeine appears to be relatively small: Forbes points out that a shot of espresso has 1,000 times as much.